Telstra Ventures partner Marcus Bartram said that there was still scope for more investment in cyber security companies despite announcing a large investment in vArmour – a California-based company that has developed policy-based software theoretically capable of securing so-called “East-West” network traffic moving within a company’s network perimeter. Notably, Bartram said that the carrier’s failed billion-dollar joint mobile network venture with San Miguel in The Philippines had not decreased its appetite for investing in Asia. On the contrary, he revealed that Telstra Ventures was highly active in the region. “We’re really actively investing. I can’t tell you who yet because it’s a bit too early but we’re actually actively pursuing investments in South-East Asia and China and we’re looking at opportunities in the Philippines,” Bartram said. “If you look at where Telstra has strategically tried to grow and where there’s interesting investment opportunities, South East Asia, India and China are good places for us to go looking for new technologies or new emerging business models in those markets,” he added. Bartram declined to reveal specifics of the technology areas in which the carrier was seeking to invest aside from saying it was “a real variety”. “It’s a combination of technology plays and consumer market place plays and messaging companies,” he explained. 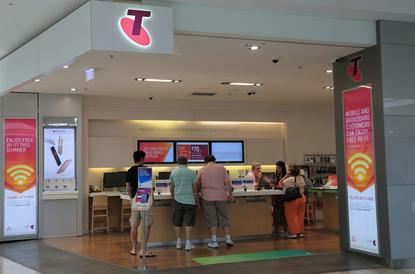 Telstra Ventures handles the carrier’s smaller investments – in the range of around $US5 to $US10 million – rather than billion-dollar partnerships like the San Miguel deal, which would have seen the pair team up to build a mobile network using the food giant’s 700Mhz spectrum assets had it succeeded. The venture capital group’s investment remit is narrowly defined to technology and companies that align with the carrier’s broader strategic goals. “The way we operate today is that we really want to understand and the conversation we have at every decision point is (around) how it relates back to what Telstra is trying to achieve. Where we don’t invest is where that strategic link is not there, even if we think it’s a great investment,” said Bartram. Telstra Venture’s investment in vArmour will give the security software company a beachhead in the Asia-Pacific region. Telstra conceded it was yet to develop a strategy to take vArmour to market but hinted that it may start with its own base of customers offering it as either a bundled or standalone product. Telstra hasn’t revealed how much it has invested in vArmour but Bartram said it was in line with Telstra Venture’s typical cheque-size (US$5 to $US10 million, but not necessarily capped). It was part of the security software company’s recent efforts to secure $US41m in D-Series funding led by the carrier and Redline Capital. vArmour’s Strategic Markets Vice President, Keith Stewart, said Telstra Venture’s vision aligned well with what the security software maker was trying to achieve. “Lot’s of people have got money. But past a certain point we don’t need money we need friends. We need (investors) who are going to be business partners and build the business,” Stewart said. In a statement, vArmour said the funding round would primarily be used for global business expansion rather than further software development.